More than 60 participants from over a dozen countries participated in the 2011 Asia Land Forum, organized by ILC Asia in collaboration with Asian NGO Coalition for Agrarian Reform and Rural Development, Community Self-Reliance Centre, and the Government of Nepal, on 20 to 21 October 2011 at the Soaltee Crowne Plaza in Kathmandu, Nepal. This year’s focus was inspired by the 2011 SAARC Summit theme, Building Bridges, leading to the title, Preserving our Gains in the Struggle for Land: Building Bridges in Addressing Commercialization, Climate Change and Food Security. Resource speakers representing government, NGO, and financial institution sectors from all over Asia gave presentations on a diverse range of topics, including climate change, food security, women’s access to land, and political economy and governance of large land acquisitions. One presentation on transparency and accountability in decision-making in land transactions was broadcast via Skype by Mr. Peter Messerli at the University of Bern in Switzerland. ILC members also presented various case studies in their respective home countries. The audience was also invited to participate in a question-and-answer session at the end of each thematic discussion, leading to lively debates and discourse. 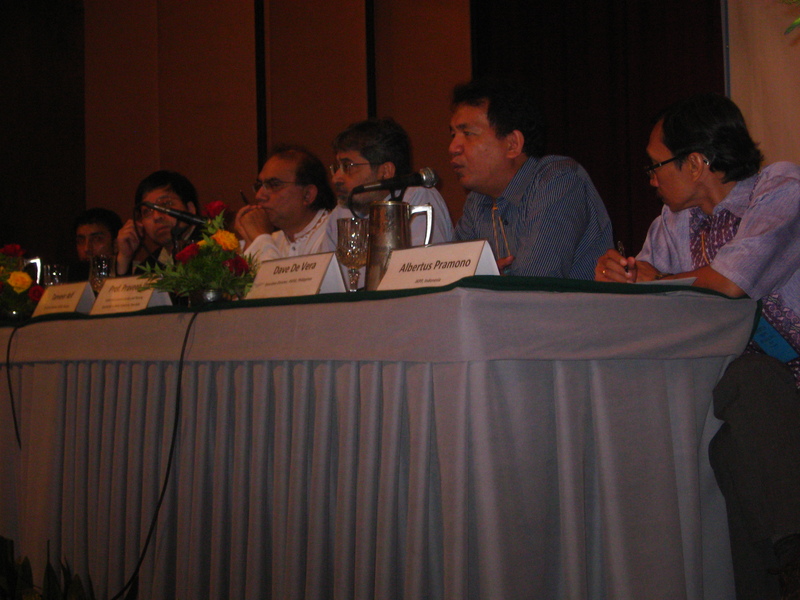 Image: Presenters answer questions from the audience about case studies in the region. 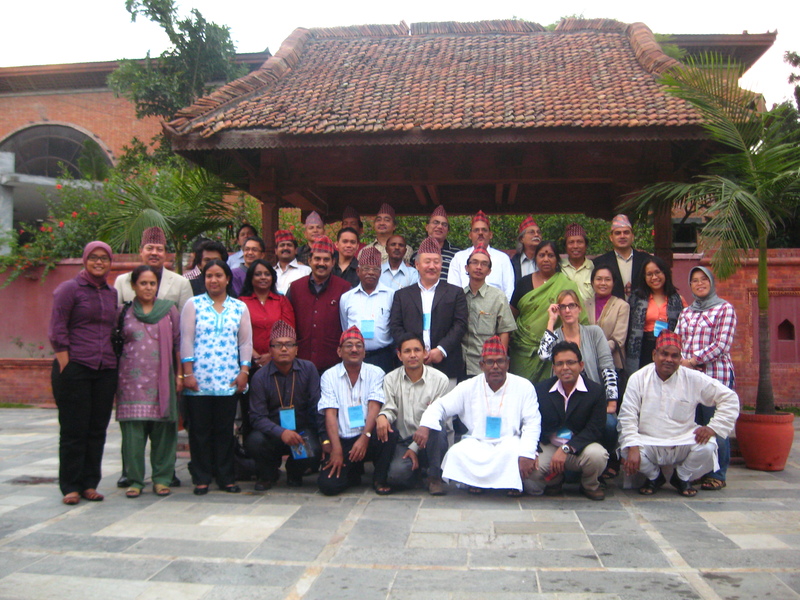 After the two-day Land Forum, ILC members gathered for the Regional Assembly on 23 October 2011. The annual gathering serves as a forum to provide updates on ILC Secretariat, Regional Node, and member activities and discuss future plans. This year, ILC Asia had perfect member attendance at the Regional Assembly, including its ten new members from Bangladesh, India, Indonesia, Mongolia, Nepal, and the Philippines. Mr. Tony Quizon opened the day with a presentation on the global debate on land, which included an overview of the history of land issues in Asia. Ms. Sabine Pallas, Programme Officer at ILC in Rome, and Ms. Seema Gaikwad, Asia Regional Node Coordinator, also led discussions on relevant ILC documents and activities for the 2012 work plan. 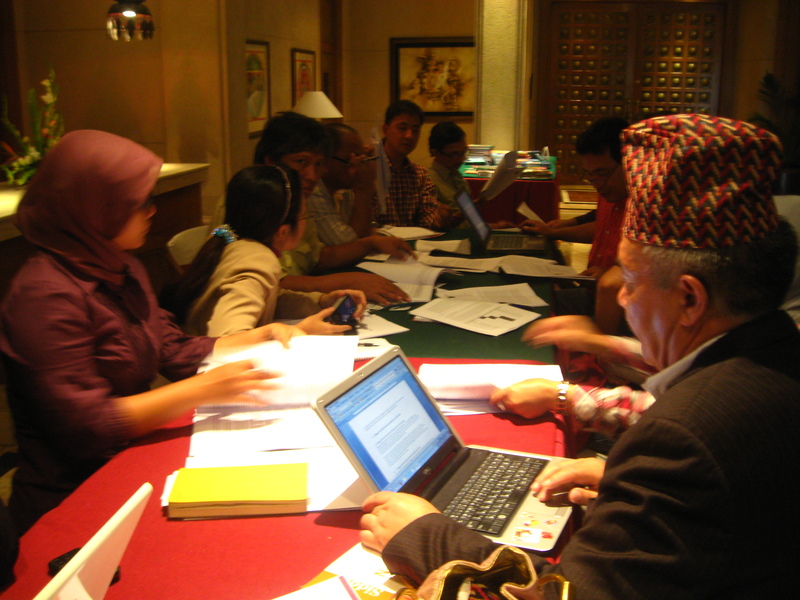 Finally, members separated for small group discussions by region (South Asia and Southeast Asia) to provide feedback on the Strategic Framework and Operational Guidelines. Image: ILC members gathered for small group discussions. The participants of the Land Forum and Regional Assembly appreciated the opportunity to learn more about various land-related issues in diverse Asian contexts and network with experts in each area. The information shared and learned will be used to implement future activities in 2012 and beyond. ILC Asia extends its appreciation to all who contributed their time and expertise in combating injustice and poverty in the region.